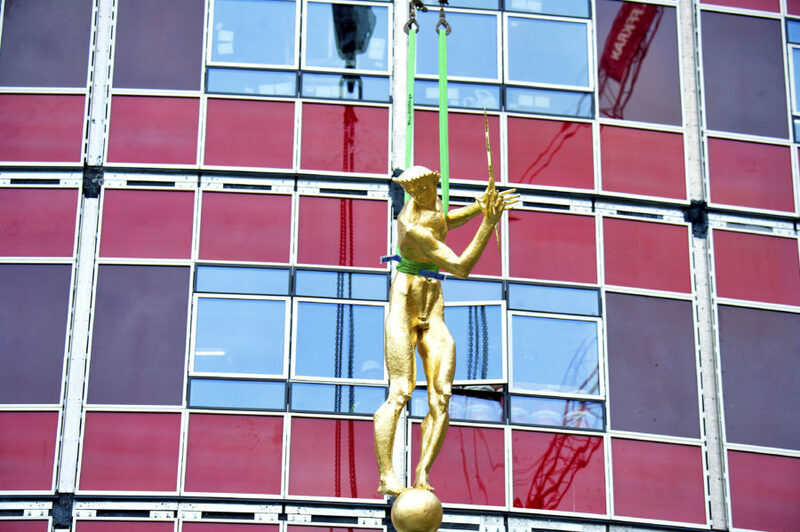 The gilded bronze figure of Helios has returned to the ‘doughnut’ after repair and renovation. The Helios has stood in the rotunda at Television Centre since the former BBC headquarters opened in 1960. The three-metre high statue, which stands in the central garden of the building, was designed by British sculptor T B Huxley-Jones. Erected in 1960 for the opening of Television Centre, it represents the radiation of television light around the world. 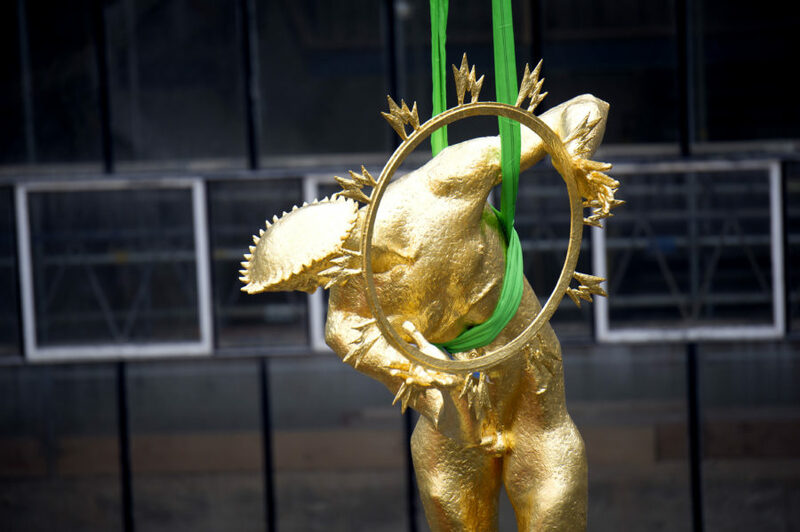 The statue will again be the centrepiece of a fountain and two reclining figures beneath the fountain bowl represent sound and vision, the two components of television.